At Pacific Home & Patio of Boise, our custom-designed sunrooms and conservatories offer families a way to enjoy the beauty of the outdoors from the comfort of their own homes. Sunrooms offer the ultimate getaway for busy families who wish to pause and savor a moment of peace. Winter in Idaho is especially beautiful – that’s why the sunrooms and conservatories we offer helps Treasure Valley families enjoy scenic views without the cold. Glass sunrooms are a gorgeous addition to any Idaho home and can be customized to suit your individual needs. In addition to being your family’s private retreat, sunrooms also offer wonderful opportunities for entertaining. Our Straight Eave Sunrooms are distinctive yet flexible enough to accommodate your friends and family while complementing the existing architecture as well as enhance the charm and personality of your home. You can also choose from a large variety of sunrooms, depending on your individual style and tastes. 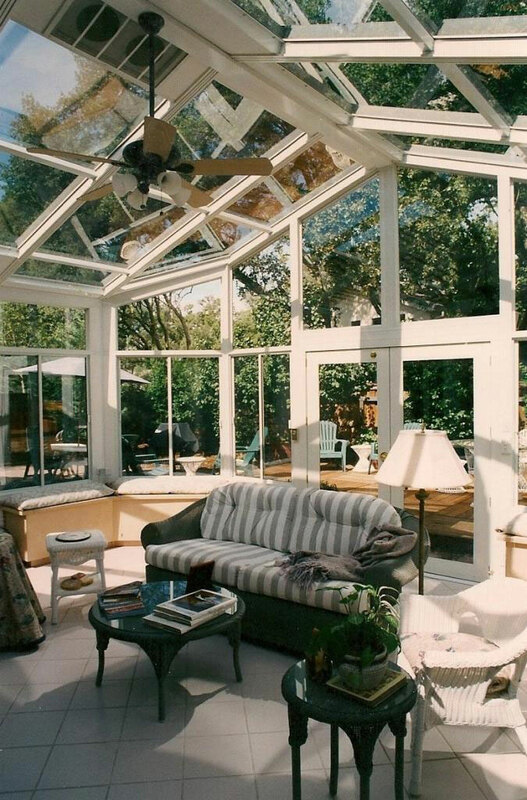 Adding a conservatory (a sunroom with a glass roof) is an elegant way to expand a room, creating a peaceful space for a home office, or open up space for entertaining. Such a beautiful space can also double as a venue for an intimate wedding reception without the worry of unpredictable Idaho weather. A conservatory is another perfect option for a pool or spa for the ultimate luxury retreat. Whether your plan is modest or grand, we are happy to accommodate your project. We welcome sunroom projects both large and small. Choose from a range of natural woods to craft your dream conservatory. From deep, rich mahogany and fir to light, airy oak, maple, or cedar, your selection will complement your vision of your home. You can save money on heating and cooling bills if you choose 100% thermally broken glass for your sunroom. This offers the most insulation value. Safety glass, sliding or swing doors, and built-in shade tracks also offer a flexibility of design with features to conserve energy and help you enjoy your sunroom for years to come. Whether you want to use your sunroom as a place to entertain guests or enjoy your pool and spa, Pacific Home & Patio can help turn your dreams into a reality. If you are interested in expanding your home with a beautiful sunroom or conservatory, contact us at 208-376-0000 for more information and a free quote.